Air purifiers that use ozone technology may address asthma and allergy symptoms, but not without a hidden cost. See the benefits and dangers of using ozone to clean your air. 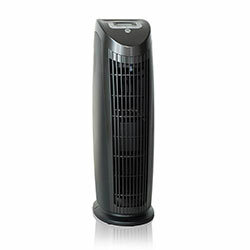 What are Air Purifiers with Ozone? HEPA/Ionic Air Purifiers with built-in Ozone Generating devices. These use a filter, or electrostatic plates as their primary means of filtration, and but utilize Ozone to remove odors and freshen the air. Consumer Grade Personal Ozone Generators. These devices produce relatively high concentrations of ozone but do not have any other particle filtration functions. They may have a very small pre-filter for dust or hair, but otherwise, they are completely ineffective at removing airborne allergens like mold and pollen. These produce very high concentrations of Ozone and should never be used in a room with a person present. Many individuals tout the benefits of Ozone air purifiers, while at the same time many other people are very negatively affected by them. What causes this wide discrepancy in how people perceive and use these devices? Ozone is a molecule that is very effective at reacting with and eliminating strong odors and airborne chemicals. Ozone naturally has a very fresh scent to it, similar to that of “crisp” smelling air freshener. The combination of a fresh smell and the ability to remove unpleasant odors effectively makes Ozone very appealing to many consumers as an air purifying chemical/device. Ozone is an unstable oxygen molecule (O3) that reacts anything it bumps into. Because ozone can react with and break down anything it comes in contact with, it makes this chemical very effective for removing odors and killing mold and mildew. Unfortunately, it could also kill your small animals! In fact, the very thing that makes Ozone so effective at removing odors, also makes it dangerous. If it is present in high enough concentrations to eliminate bad smells, then it is also reacting with your skin, eyes, lungs, and other exposed areas. If you can smell it, then it is reacting with you and causing long term damage. You would not feel comfortable having the smell of gasoline, or glue, present in your home permanently, but Ozone is performing the same type of long term lung and skin damage as these volatile chemicals. It just smells nicer. California Has Banned “Ozone Air Purifiers"
To protect consumers, the California Air Resources Board has created a certification standard that all products sold as Air Purifiers in the state must comply with. While there is nothing "wrong" with ozone generators in controlled applications, they absolutely should not be sold for residential use. When used in the home, these types of air cleaners can be very hazardous to your health. This technology is best-suited for professional use. For example, if a home is flooded or has a sewage back-up, ozone can be used by cleaning professionals. This is an appropriate use of the technology, since people and pets are removed while the ozone is applied, and they are only brought back after the ozone is removed. If you have serious mold or odor issues in your home, call a professional ozone purification company that will bring a commercial ozone generator to your home. An ozone “shock” treatment can be done while your family stays out of the home for 24-48 hours. 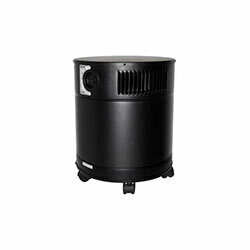 A lot of misleading information is available to the public regarding ozone and ozone air purifiers. In an effort to assess whether ozone is harmful or good, as well as to inform the public about health effects of ozone and ozone generators, the Environmental Protection Agency (EPA) has conducted research. The information compiled by the EPA includes the negative health effects that ozone generators have on people. Ozone is proven by the EPA's research to be a toxic gas that has properties that are vastly different from oxygen. Many federal agencies take the side effects of ozone seriously and have recommendations and health standards in order to limit the exposure that people may have to it. While manufacturers of ozone generators may make untrue claims, with the help of the EPA’s research regarding the truth about ozone and ozone generators, the public can now take charge of their health and make informed decisions. 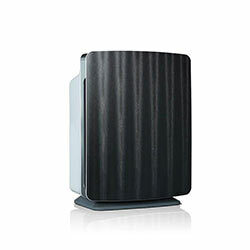 Unfortunately, there are several firms that sell ozone air purifiers for residential use. Exposure to ozone can bring on asthma symptoms; in cases of high levels of ozone exposure, the risks are even greater, including scarring the lungs. The claim that air purifiers with ozone work through walls is inaccurate and misleading, and the practice of telling a user to turn up the air purifier until they smell a fresh laundry scent is dangerous. 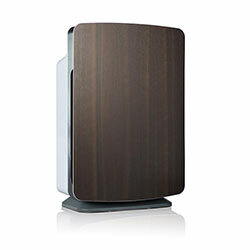 Since the human olfactory system becomes accustomed to smells over periods of time, the ozone air purifier has to be set to deliver a higher concentration of the dangerous chemical. At a certain threshold, this will induce headaches and significant breathing problems. While ozone is needed in the atmosphere, it is dangerous in your home around you and your loved ones. The Center for Disease Control and Prevention (CDC) provides Ozone exposure levels that have been adopted by the Occupational Safety and Health Administration (OSHA) and the National Institute of Occupational Safety and Health (NIOSH). The Food and Drug Administration (FDA) requires that ozone given off by indoor medical devices be no more than 0.05 ppm. Workers are restricted from exposure that averages a concentration of 0.10 ppm of ozone in a period of 8 hours, as mandated by OSHA. An upper limit of 0.10 ppm of ozone exposure is not to be exceeded at any time, according to NIOSH. The EPA's National Ambient Air Quality Standard for ozone is a maximum outdoor concentration of 0.08 ppm in an 8 hour period. By reviewing the way that ozone interacts with chemical compounds outside of the body, we can grasp an understanding of how it behaves when it enters the human body. If ozone is inhaled, it reacts with compounds found in the body and can cause harm to the lungs. If a person inhales a small amount of ozone, it can cause side effects, such as coughing, shortness of breath, chest pains, and irritation of the throat. If a person already suffers from respiratory disease, the exposure to ozone can exacerbate the disease or condition, worsening the symptoms to a severe stage. Even in healthy people, breathing in ozone can cause respiratory problems. If someone is performing a physical activity, like exercise, and ozone is inhaled, it is even more likely to cause harm to the respiratory system. It is less challenging to recover from weak exposure to ozone; the longer and stronger the exposure to ozone, the more likely the irreparable damage to the respiratory system. These asthma air purifiers and allergy air purifiers will safely combat symptoms without the harmful side effects you could receive from an ozone air purifier.